Whether a tea connoisseur like yourself starts every morning with an energizing cup of English breakfast or ends every day with some soothing chamomile, a ceramic mug full of loose tea leaves is no way to live. Which is why finding the right tea strainer is an absolute must. 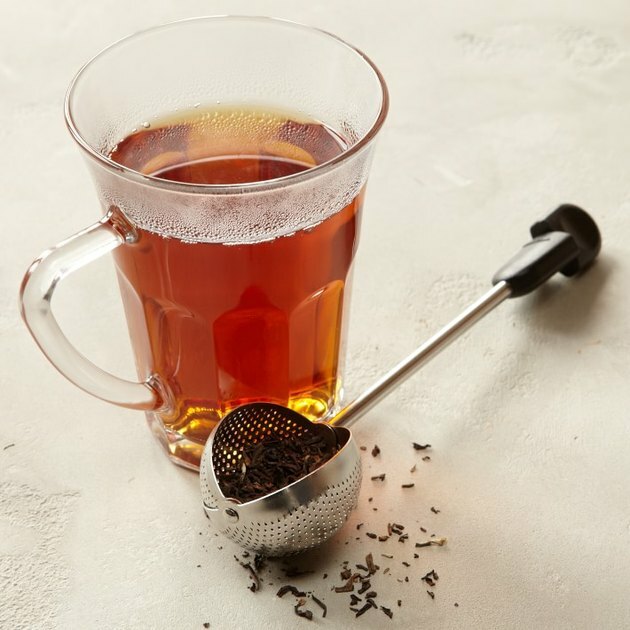 When you have the perfect strainer, loose leaf teas are a breeze (and cost-effective!) to brew. 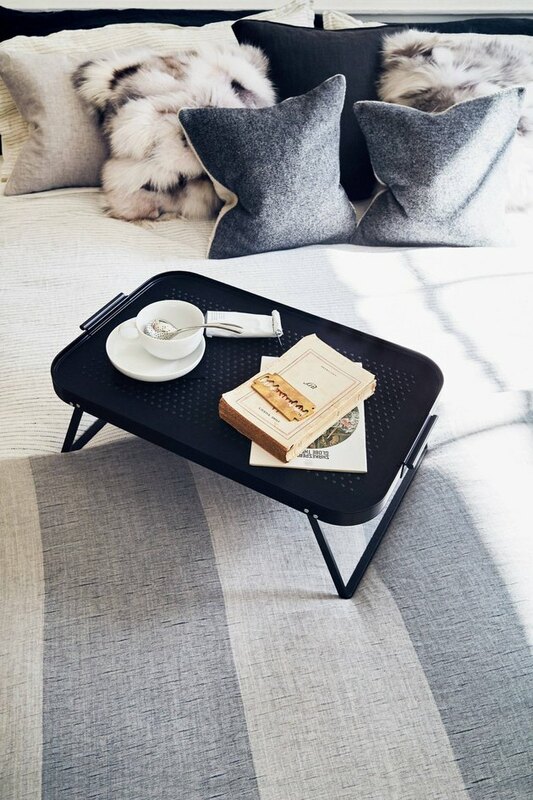 Here are 13 options that will complete your carefully curated tea set, and perhaps more importantly, show off your savvy sense of style while hosting your next tea party. 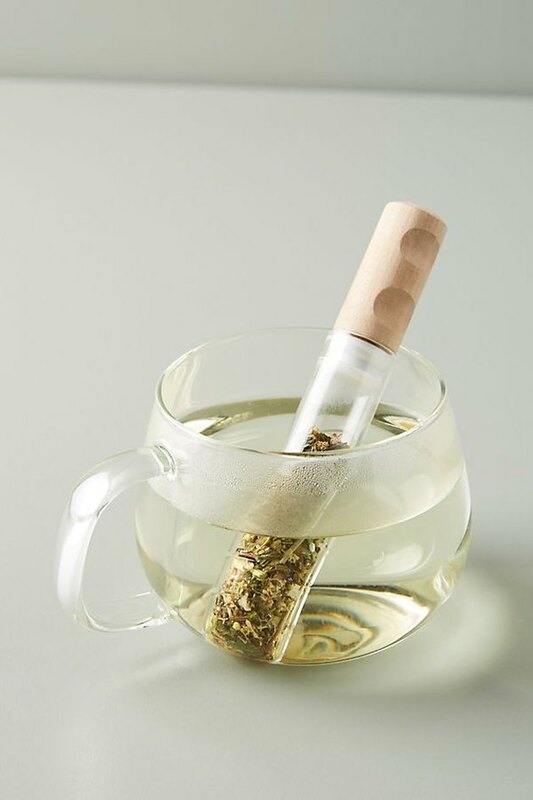 This sleek glass tea strainer with a birch wood lid pairs perfectly with just about any tea set. Plus, it makes steeping your favorite cup of loose leaf tea an eye-catching event. This elegant tea ball is a snap to use. Just scoop up some loose leaf tea, turn the stainless steel handle to close, and steep in hot water. And when you're done, you can rinse it off and use it to sprinkle powdered sugar on your freshly made Swedish pancakes. 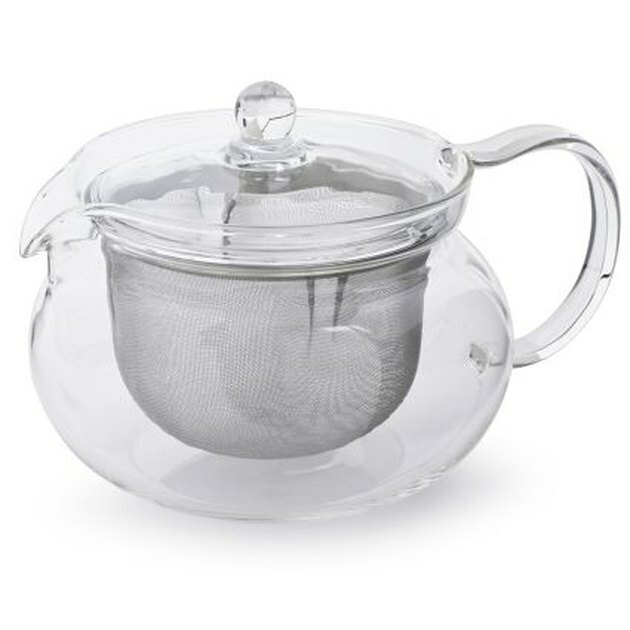 You can't go wrong with a classic glass teapot that has a built-in stainless steel strainer. It matches absolutely everything without detracting from your minimalist style. 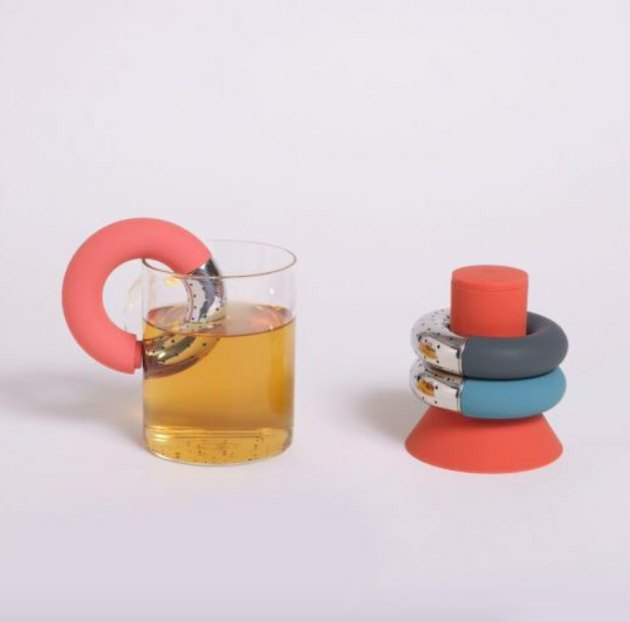 This set of donut-shape tea infusers has twistable tubes that allow them to clip onto any glass or mug. And since this set comes with three coordinating infusers, there are plenty to go around. This stylish tea strainer's shape was inspired by traditional noodle boilers, but it gets a modern upgrade thanks to its shiny copper finish. 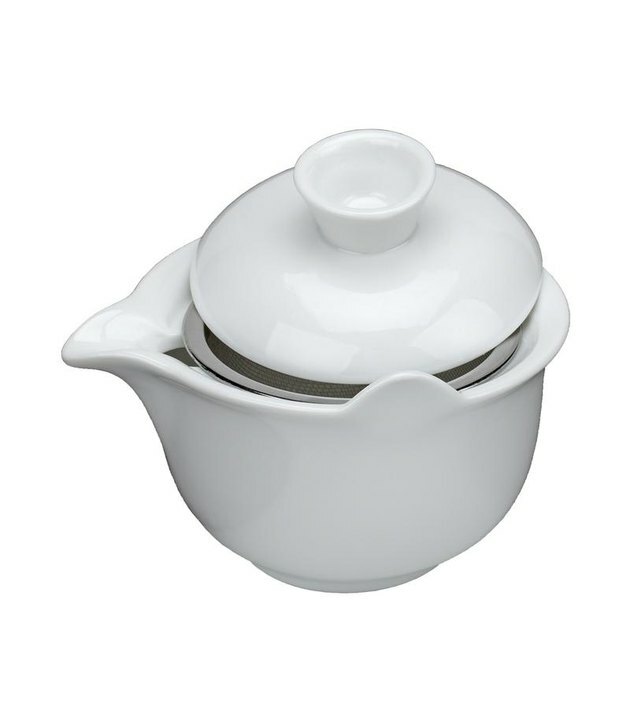 Did you know that gaiwan is a traditional Chinese lidded bowl used for brewing tea? Well, this modern porcelain version — with a stainless steel strainer — will not only add a unique and authentic Asian flair to your brewing process, but its beautiful design will also step up your tea game. Score! Save yourself some time. 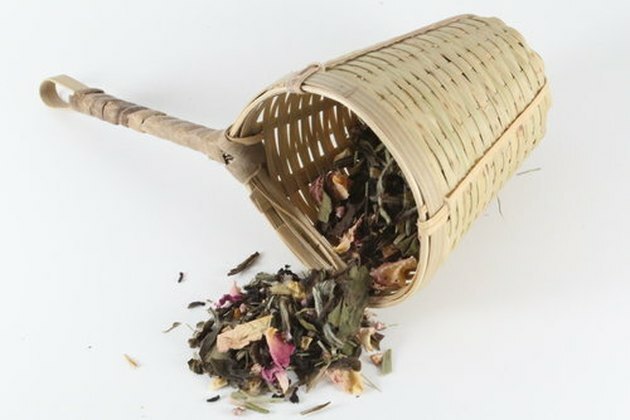 Instead of steeping your tea, pour hot water over this eco-friendly bamboo basket filled with your fave loose leaf tea and get on with your busy day. 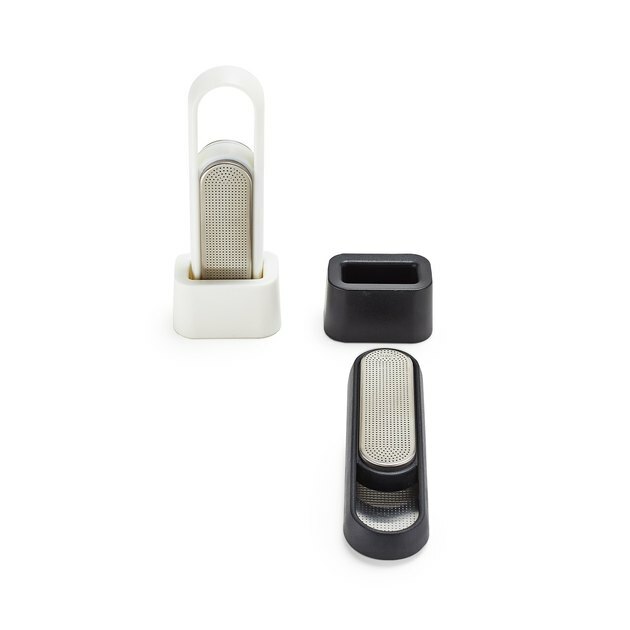 The metal filter of this minimalist, pill-shape tea strainer slides open, so you can scoop up loose tea leaves without using a spoon. And once you're done brewing a warm cup, just return the strainer back to its coordinating stand. 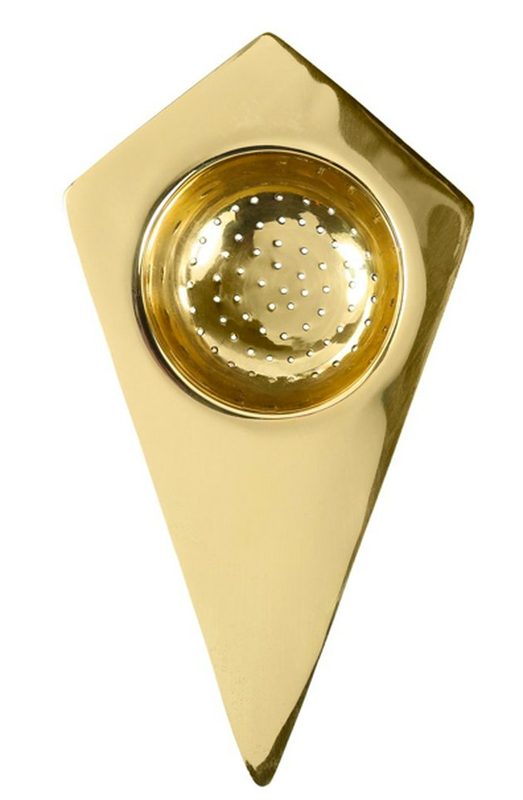 Treat yourself to this stunning solid-brass tea strainer. Not only does its weight feel great in your hands, but the geometric shape also adds a modern edge to your tea drinking experience. 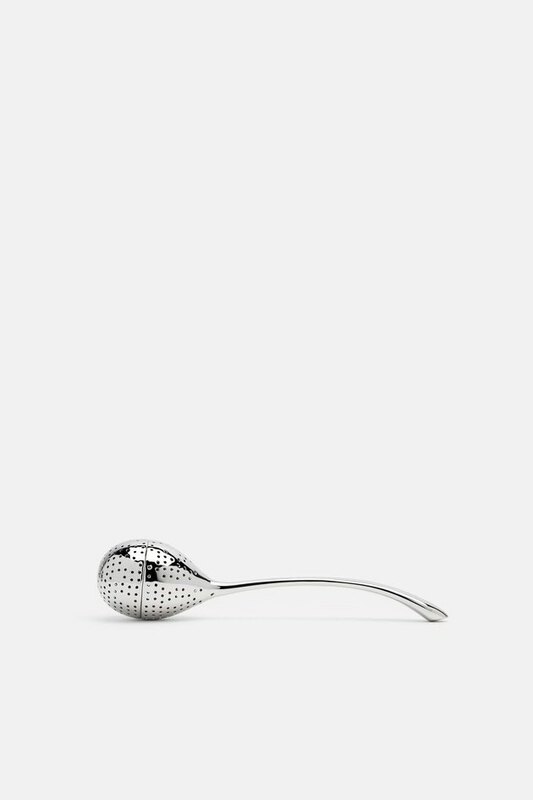 Created by jewelry designer Helena Rohner, this egg-shape strainer is a beautiful sight to behold. The organic shape and mirror-polished stainless steel finish will instantly transform your daily cup of tea into a sophisticated ritual. 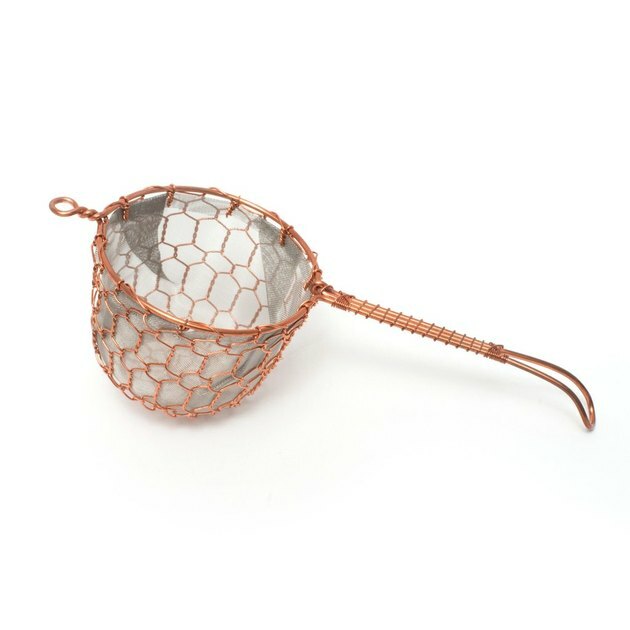 Handmade in Kyoto, Japan, this copper strainer is lined with a fine stainless steel mesh, so it works on even the most finely-ground loose leaf teas. 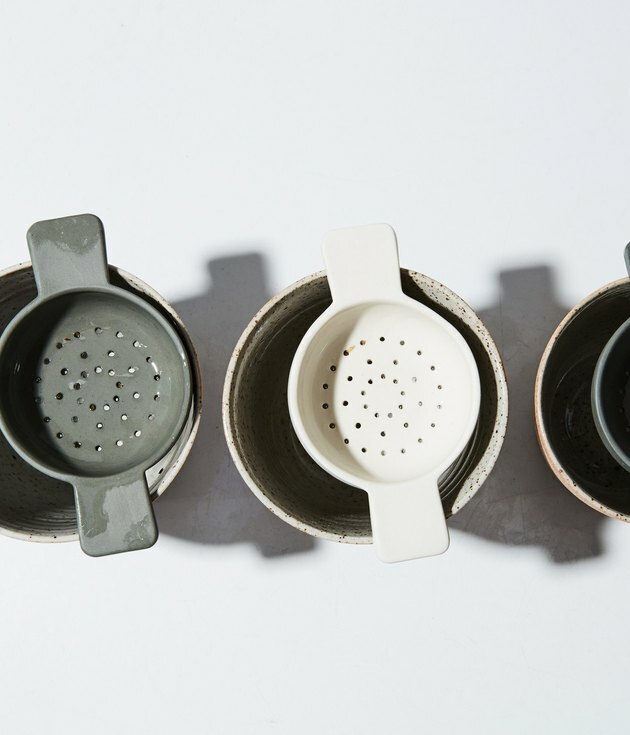 You'll fall head over heels for these matte earthenware tea strainers — available in stone white or charcoal gray — that complement your understated style perfectly. Their straight handles make them compatible with most mugs or tea cups. 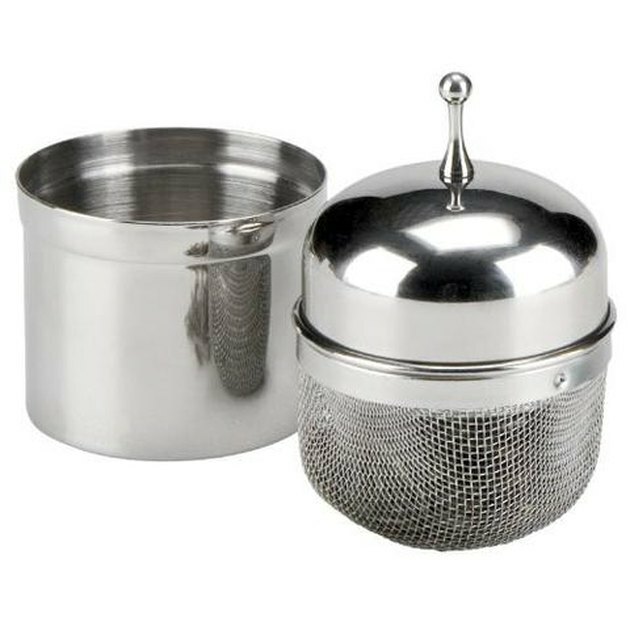 This floating stainless steel infuser will cheerfully bob along the surface while your tea steeps, making the brewing process even more fun. When you're done, just pluck it out and place it in the caddy to catch the drips!